Jon Bivona & Paul Vario invite you to grab your guitar, open your lesson book and join them each week for a new episode of Guitar Slinger TV. In addition to being top guitar instructors, each with over twenty years of teaching experience, Jon & Paul are best friends who mix their passion for guitar education with warm banter and light-hearted humor. Every episode of Guitar Slinger TV will provide tips, tricks and advice from these two renowned guitar instructors as Jon & Paul bring you a uniquely entertaining learning experience that guitarists of all levels can benefit from. Guitar Slinger TV…Join Us! 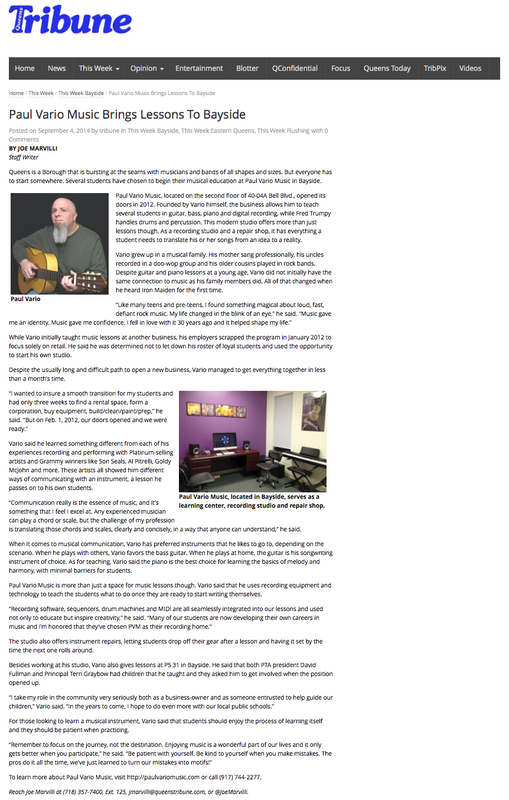 Jon Bivona has an extensive background in music education, having taught guitar both privately for 20 years, and in larger school settings in collaboration with the Mark Wood “Electrify Your Strings” (EYS) national music education programs. He has worked with the multi-platinum selling group Trans-Siberian Orchestra for the past 12 years, receiving two gold records for his work and has performed and recorded extensively with violin virtuoso Mark Wood. Currently, Jon performs nation-wide with The Elements. Jon’s playing can be heard on major television networks including, CBS, NBC, ESPN, ESPN international and the USA Network. Highlights of his television & radio work include the Tour de France, PGA tour, U.S. Open, ESPN Highlights, Animal Planet & P.C. Richard and Sons. Paul Vario is one of the most respected and in-demand music instructors in New York City where he is the owner of Paul Vario Music and instructs a large and diverse roster of private students. His NYC Public School programs have included Guitar Ensemble at P.S.94 and Keyboard Lab at P.S.31 where he has also run a succesful Rock Band program in coordination with Little Kids Rock nonprofit organization. Paul has toured, recorded, performed and jammed with Son Seals, Goldy McJohn, Mark Wood, Al Pitrelli, Jordan Rudess, Alex Skolnick, Tony Harnell, John McEnroe and many others. He has performed live in front of thousands, on international television and radio and his session work has been featured in network broadcasts and films. 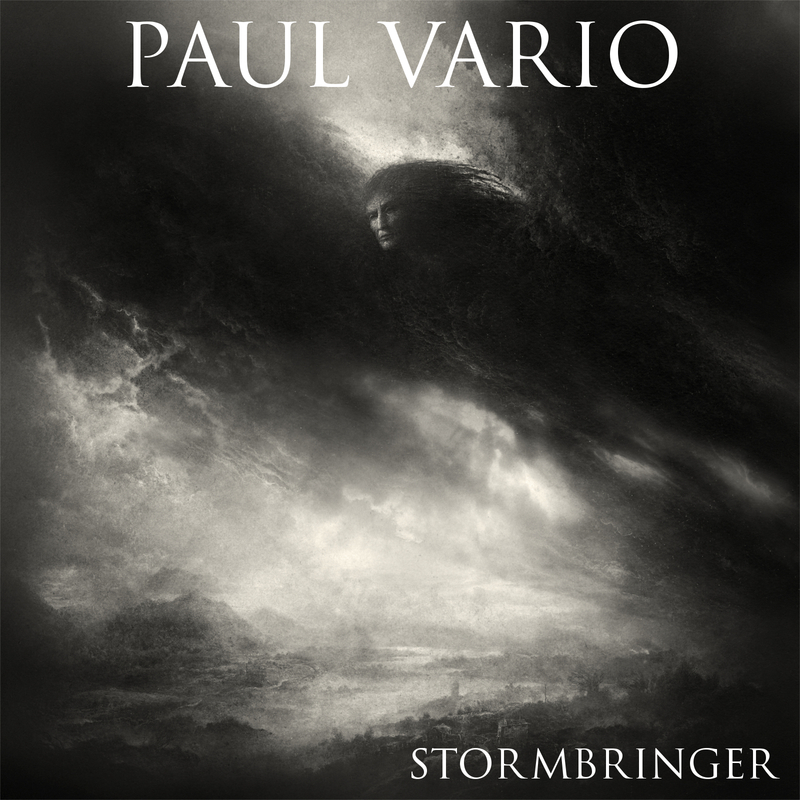 His current solo EP Stormbringer is available everywhere.